One of the things I love about seeing Shakespeare at Agecroft Hall is that it’s not just a show, it’s an experience. The grounds open early so families can picnic on the grass. Strolling minstrels perform monologues, sonnets, and songs while people dine. When an actor called, “What say ye?” an animal croaked in response. It’s a charming setting to enjoy the Bard. Admittedly, Hamlet isn’t the Shakespeare play that comes to mind when one thinks of a family performance. But last year, at their delightful production of Midsummer’s Night Dream, the stage manager announced a female portrayal of Hamlet for 2015 and my preteen insisted we return. I’m grateful she did. While I was prepared for an intense evening of death and drama, what we experienced was an unforgettable interpretation of a classic. From the moment the actors stepped on the stage, things were different. Camouflage shirts. Leather jackets. Black finger nails. I’ve seen Shakespeare productions modernized through costumes before, but Quill Theater’s version of Hamlet fully integrated updates so that even selfies were seamless. The director, Dr. Jan Powell, did an incredible job of reimagining this play, artfully infusing comedy to keep the audience entertained throughout its dramatic plot. Hamlet’s old friends – Rosencrantz (Jonathan Conyers) and Guildenstern (Laurel Maughan) – were amusing in their Wittenberg baseball hats. Polonius, played by Jeff Clevenger, was the most wonderful characterization. In his pinstripe suit and bow tie, Polonius provided unexpected comic relief. My 12-year-old declared the scene in which Clevenger plays the gravedigger her favorite because “even though they were in a grave with skulls, it was hilarious.” Who would have guessed the song, “I Ain’t Got Nobody” would fit so perfectly into a Shakespeare play? While Alex Wiles, as Ophelia, participated in some clever moments, like the scene where Polonius learns of her love for Hamlet thanks to her cell phone, it was the manic mourning scene in which she shined. Her cheeks stained with mascara, while frantically passing out flowers, it’s no wonder her brother, Laertes, well-played by Jeremy Morris, wanted to avenge her death. When the show ended, I asked my daughter what she thought. “I want to be Hamlet,” she said. No, not the emotionally disturbed murderer – the actor. Molly Hood, as Hamlet, did a remarkable job of capturing a range of emotions: from her opening monologue with tears glistening in her blue eyes to her playful celebration after getting a hit during the final fencing scene. While Hood isn’t the first female to play Hamlet, her inspired performance will be one we won’t forget. I honestly don’t know how many production companies have had women play Hamlet as a woman, rather than a woman acting like a man. Hood’s portrayal was so authentic, however, that the romance between Hamlet and Ophelia came off as realistic and typical of mad love between two young people – whatever their genders – without changing a word (beyond a pronoun here and there) of the classic play. 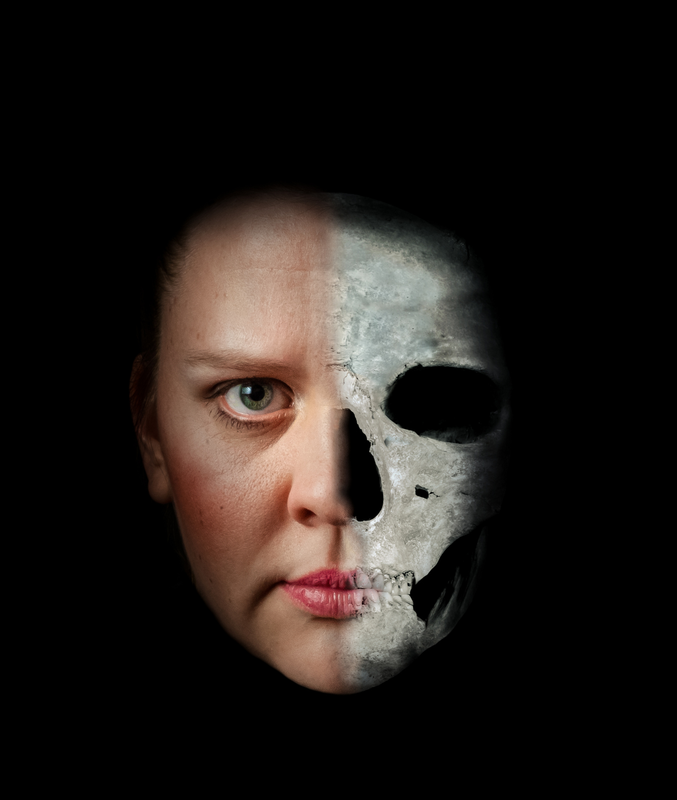 Buy your tickets to Quill Theater’s production of Hamlet for a night to remember at the Richmond Shakespeare Festival. 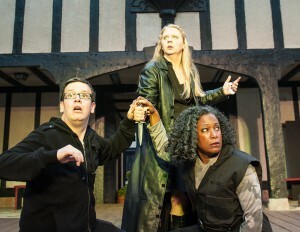 Hamlet runs through August 2 at Agecroft Hall. For showtimes and ticket information, visit Quill Theatre.